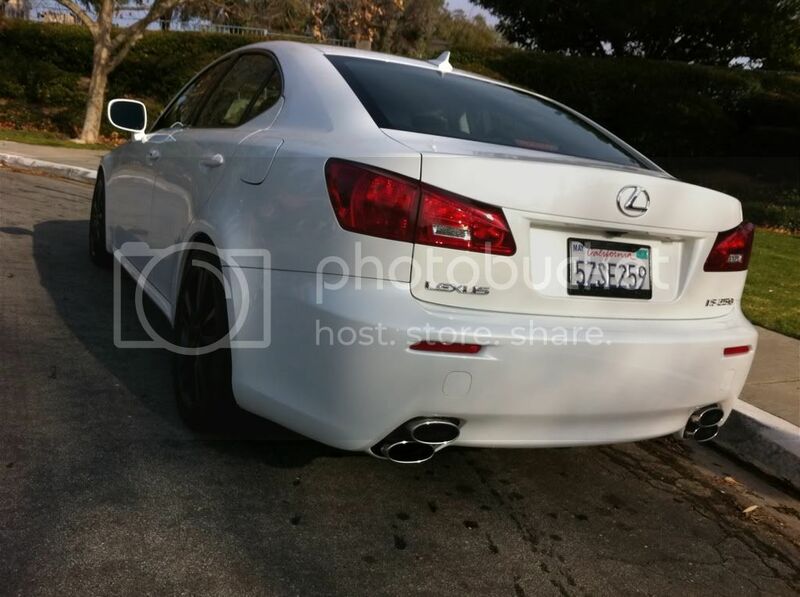 For Sale: Complete ISF rear bumper painted in StarFire Pearl. Used but in great condition. Has the stock exhausts tips installed. Only minor blemish is where the trunk closes, there are some black marks from the trunk rubbing on the bumper. These can not be seen when the trunk is closed. I installed it on my '07 IS250, but will fit IS250, 350, or ISF, plug and play. ALL genuine OEM parts. Purchased from Sewellparts.com, so if you want to see the discount you're getting, be my guest. haha. Selling because I had to trade in the car so I took all the aftermarket parts off first. This will be pick up only. No shipping. $850. Any questions, want a different picture, text or call, 949-338-0610. Located in Rancho Santa Margarita, CA. Wish this was painted in Tugnsten Pearl then I would be all over this. Just take a quick weekend trip bro! LOL i wish. got 2 weddings to go to this weekend! Paypal OP a deposit, he'll keep it stored away for you and next next weekend you'll go pick it up. Sounds like this deal is closed! Burt, please have your qualified voucher post in this thread. Would you consider trading for stock bumper with exact color?